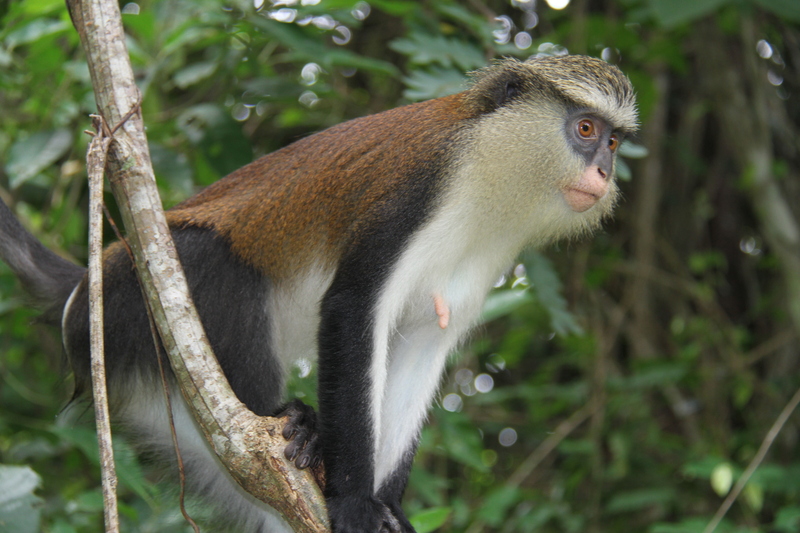 Hundreds of years ago, the Mona Monkeys in this part of Ghana were considered sacred after a special shrine was built Tafi Atome and the monkeys arrived. The locals started hunting them, and they became endangered. 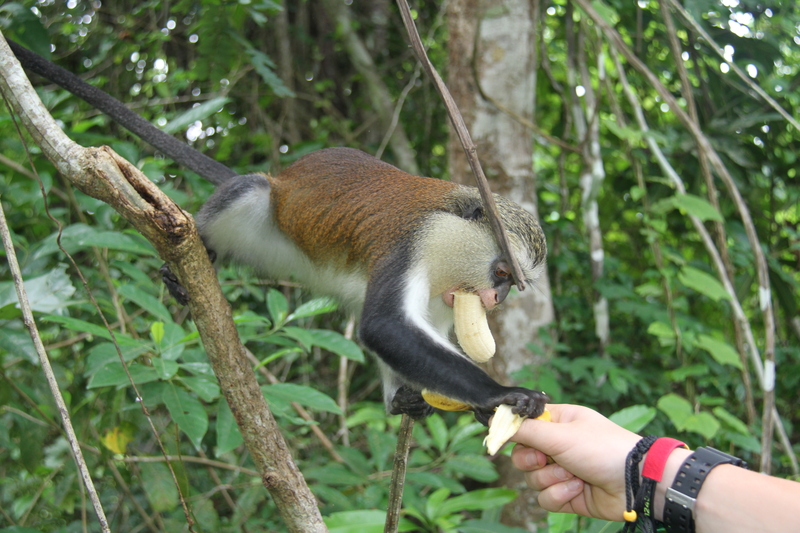 In 1993, John Mason, a Canadian, convinced locals to stop hunting this species and create an eco-tourism business to benefit the local community. Families of the Mona monkeys who now roam free in this sanctuary without being hunted and tourists pay a fee to hand-feed the Mona Monkeys bananas. 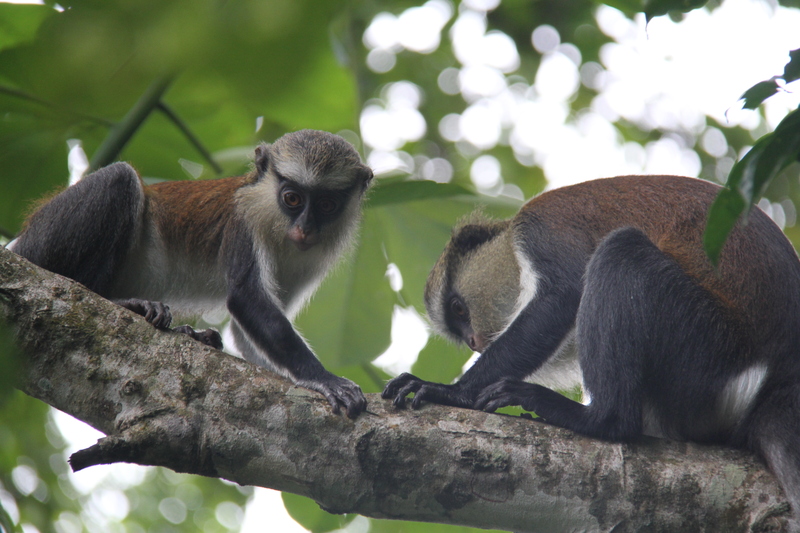 Mona Monkeys live in families of 20-50, and there are currently 5 families in the Tafi Atome Sanctuary.